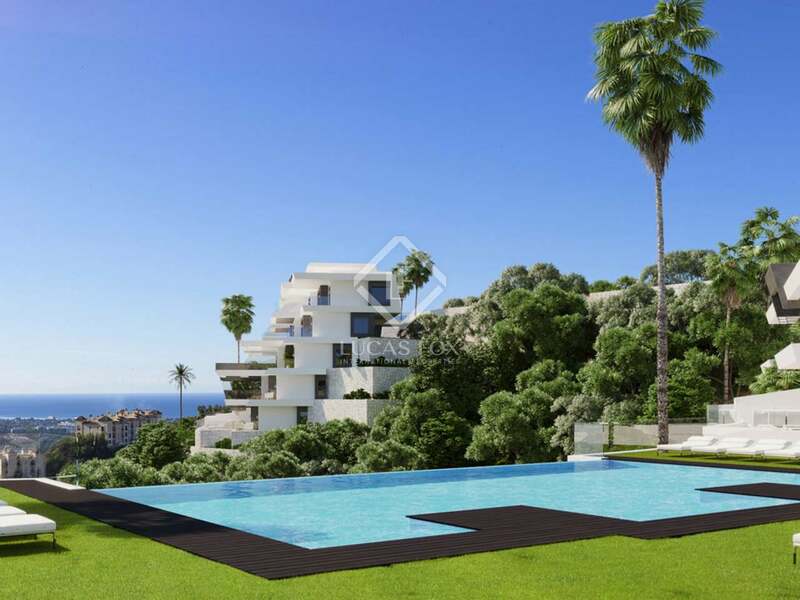 This property is part of the Luxury apartments in Benahavís with views as far as the Rock of Gibraltar. 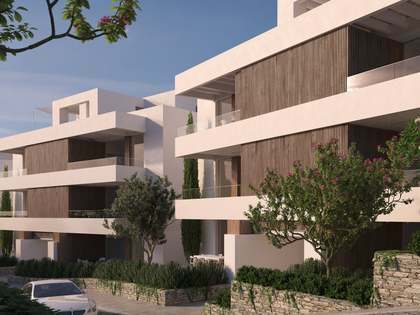 Stylish new apartments for sale in Benahavís with a unique architectural design and views as far as Gibraltar. Stylish new apartments for sale in Benahavís with a unique architectural design and views as far as Gibraltar. 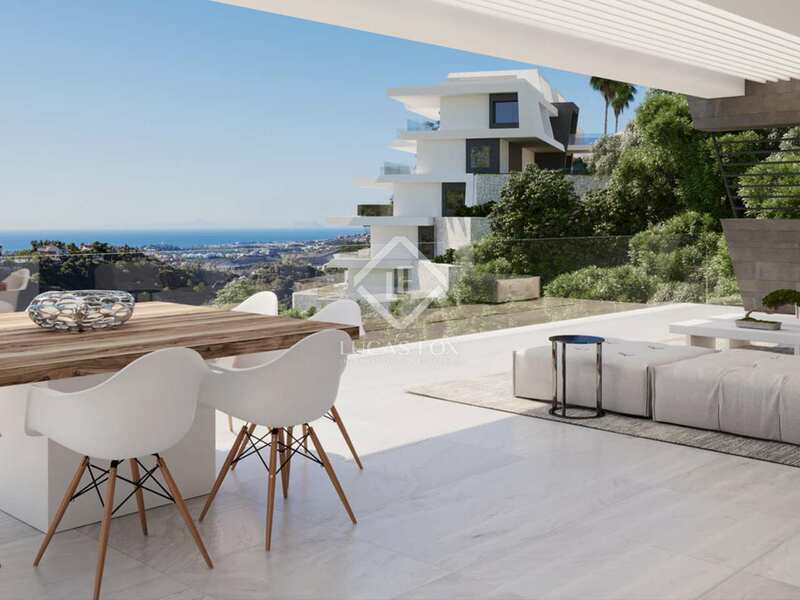 This fantastic New Development stands out, not only for its unique architectural style, but also for the stunning views stretching from Marbella as far as Gibraltar. 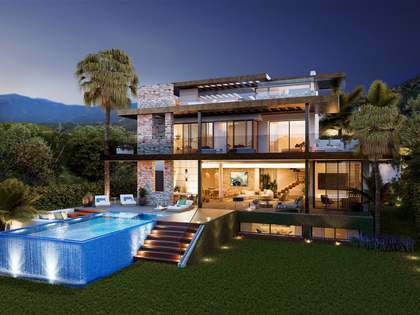 The inventive architectural design allows for the best possible quality of life in the sunshine of the Costa de Sol. 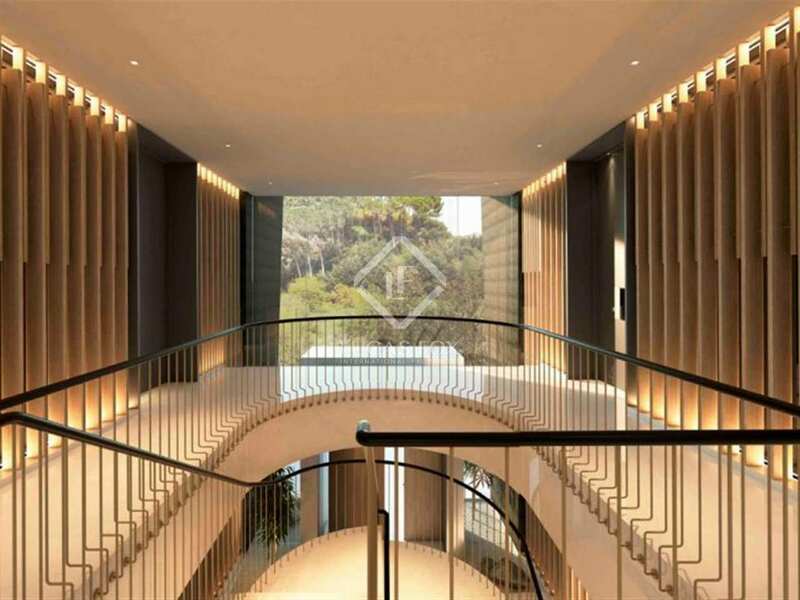 The design has been specially thought out to ensure total privacy; each unit is separated by a corridor to create a selection of apartments without adjacent neighbours. 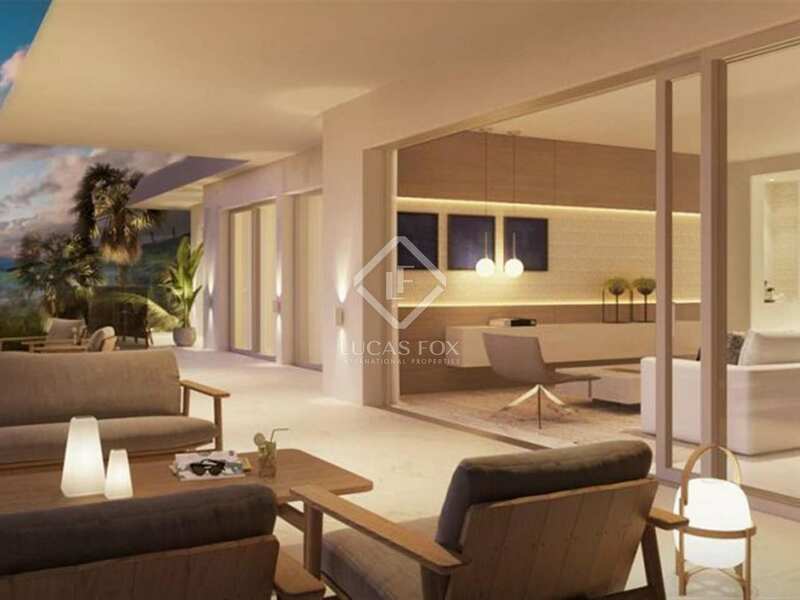 Each beautiful home has 3 bedrooms and a large terrace of around 60m². 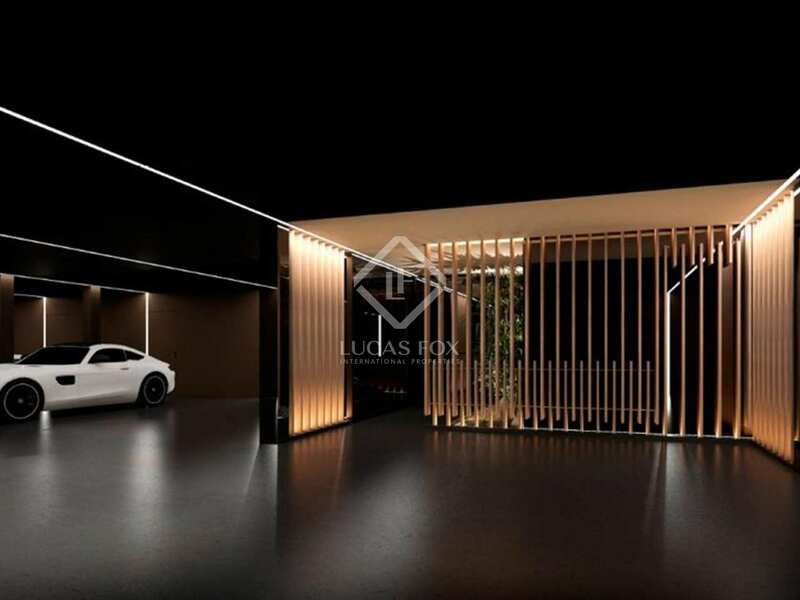 Every apartment comes with 2 parking spaces plus a storage room in the same building whilst the penthouses also have a private swimming pool. 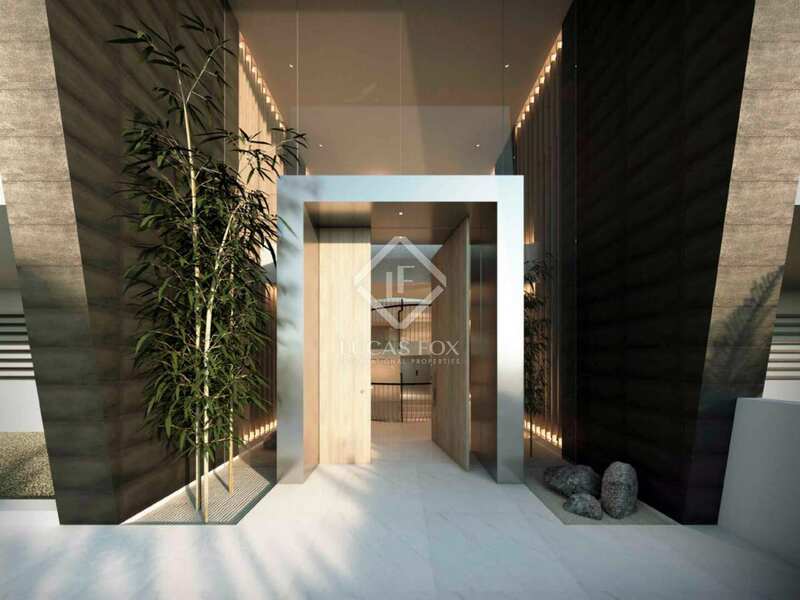 Each apartment boasts the highest quality materials and finishes. With Bulthaup kitchens and Miele and Siemens appliances and Villeroy & Boch bathrooms, the apartments have been designed with comfort and luxury in mind. Home automation allows remote control of the heating, lighting, hot water and air-conditioning. The Daikin air-conditioning system and underfloor heating ensure year-round comfort. 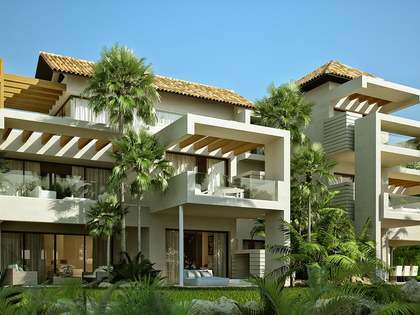 For total security and peace of mind the properties are fitted with an alarm system and smoke detectors. Residents can make use of the fantastic communal pool, perfectly positioned to make the most of the views. 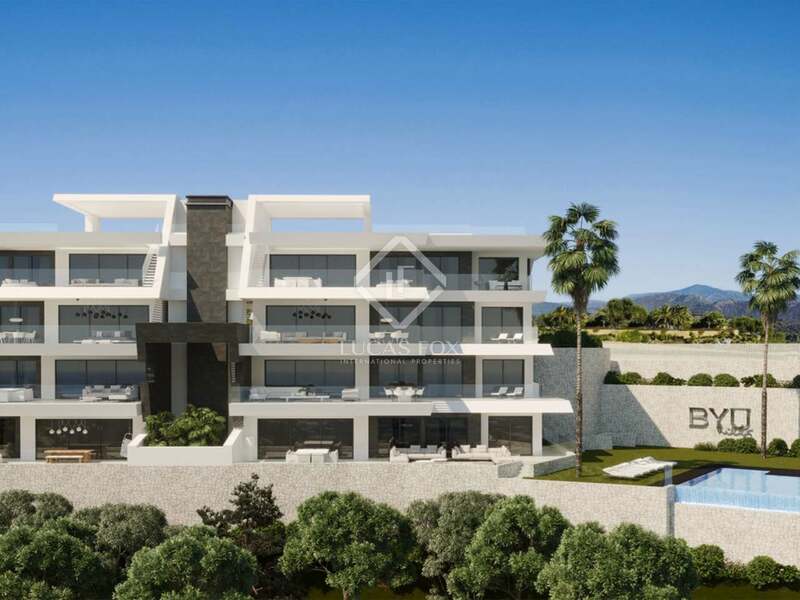 New Development located in Benahavís, conveniently located 35 minutes from the airport, 10 - 15 minutes from the centre of Marbella and 10 minutes from Puerto Banus.